The armada is a spacious dependable car. It has plenty of room, my family takes vacation and all 6 of us fit plus all the suitcases and things. It is very dependable and sturdy. The only thing that has been a problem is the ac gonna our twice but other than that it has been fine for the past 11 years. It easy to keep clean on the inside and there’s tons of room for storage since the all the back seats fold down if you need something big to be moved. It has multiple small storage places that come in handy for small items like sunglasses and the vents go all through the car so on hot days everyone is kept cool. 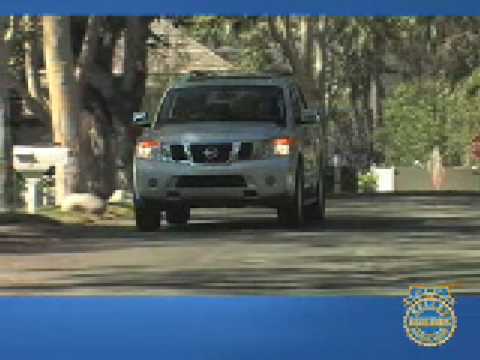 2007 Nissan armada - a roomy ride fit for a family and their friends. Its extremely roomy. Having kids and their friends go places with us we def have plenty of room. I have never had any problems with the engine - its very reliable. One downfall is the engine size - meaning that it can be costly with gas if there is a long commute involved. I like that I sit up higher on the road. There are a couple of blind spots that I had to get accustomed too. I feel very safe in the vehicle especially if there is rain or sleet/snow. I have always been able to get home in a storm. Of all the vehicles I have owned this is by far my favorite. The vehicle is great for comfort and sits many! The performance of this vehicle is absolutely amazing. If you have music on, it gets louder on its own and lowers when you accelerate and slow down so you do not hear outside noises. It has great mileage and it drives smoothly. Sits 8 people (or 7), we hardly have our back seats up since husband is in military and fits all his bags! Very roomy and is absolutely comfortable!